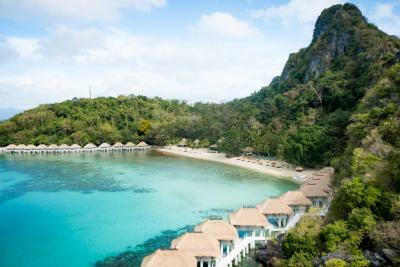 Lock in a great price for El Nido Resorts Apulit Island – rated 8.9 by recent guests! Everything about our stay was perfect. The staff was so hospitable and accommodating. The food was unbelievable every day. 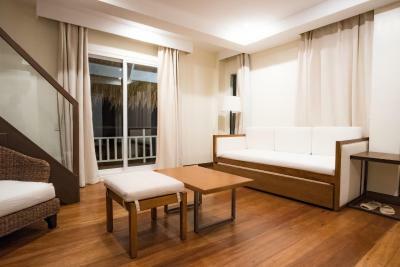 The resort itself was built with relaxation and comfort in mind. There were also many activities available every day that were included at no extra cost, including snorkeling, rock climbing, and cruises! The location was what blew us away -- the snorkeling, beaches, and clear waters made this the perfect get away place. Everything was perfect except few minor details. Manageress & staff welcomed us & they were there when we left. They did really take care of details. Complimentary trips to nearby islands & snorkelling spots. Everything!! It's perfect! The staff, rhe rooms, the food, the activities, everything is good, I hope to come back some day. The Apulit island itself is very picturesque. As you are limited to a full board option only we were worried that the food would not be good but it turned out to be fine. There a lot of interesting animals and birds on the island and snorkeling a diving is top notch. We had a Water Cottage room and you could go swimming in the sea straight from your room at high tide. This was cool ! Our bed got done in the afternoon and in the evening. It was always nice to get back to the gorgeous water cottage to that. The food on the buffets were great. Also, the staff were all very friendly. They were very accommodating to my elder mom who could not walk all the way to the dining area and they brought her food to the room. When we first landed, we had an individual who spoke with us and gave us our key. It was great we did not have to go to the front desk to check in. 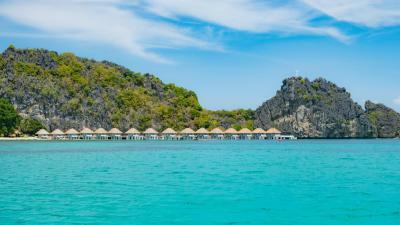 I’m in love with this place... if you go to anywhere in Palawan after being here you won’t like any other place. The reef here is untouched and beautiful. So alive.. so much to see. The marine life around the water bungalows will keep you entertained for hours. Anyplace else in Palawan is ruined. So many great free island and snorkel tours. Amazing massage (Hilot) and facial. Friendliest staff who get involved and take pictures for you at no extra charge for sunrise/ sunset cruise which is included. Unlimited delicious buffet for breakfast, lunch and dinner ... this place is amazing! I’m coming back! Please keep the reef pristine because it’s beat up everywhere else and that is the number one selling point... you won’t see this level of beauty anywhere else. Honeymoon, vacation or explore here! The staff were so so friendly, helpful and lovely!! 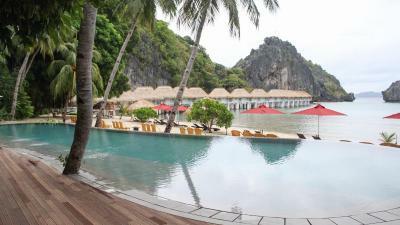 El Nido Resorts Apulit Island This rating is a reflection of how the property compares to the industry standard when it comes to price, facilities and services available. It's based on a self-evaluation by the property. Use this rating to help choose your stay! 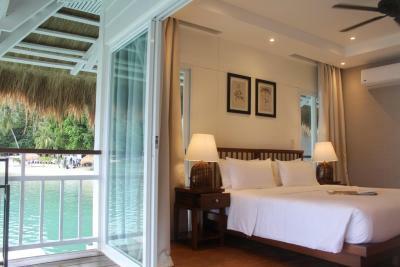 Set within Taytay Bay in the North-eastern Palawan, Apulit Island Resort is privately located along the beachfront. 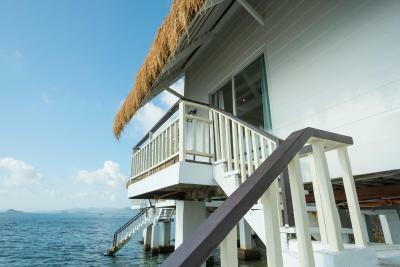 Each cottage is built on stilts and overlooks Taytay Bay while water sports facilities are available on the island. Unique cottages are designed in traditional Filipino décor and feature thatched roofs. They are fitted with a mini-bar and telephone. 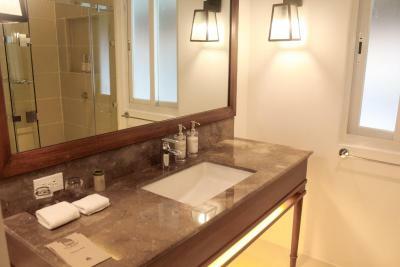 Private bathrooms come with hairdryer, shower facility and free toiletries. 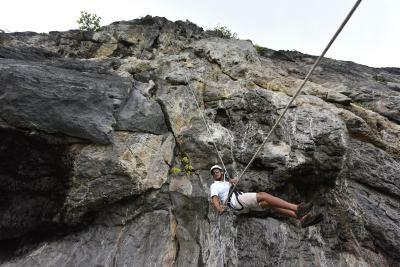 Guests can climb and rappel down the 200 feet limestone cliff, which features a bird's eye-view of the whole island. Diving allows guests to discover sunken treasures including a Japanese ship wreck and a variety of marine species. Other activities include cave exploring, island hopping and snorkeling. 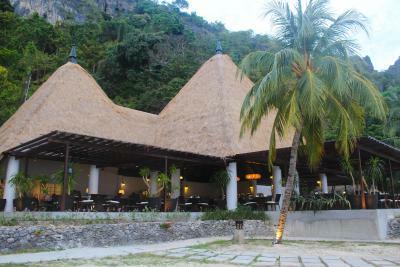 The outdoor Apulit Clubhouse serves international cuisine. Drinks can be enjoyed at the bar. El Nido Resorts Apulit Island is accessible via a 90-minute van ride from Lio Airport to Taytay Town Port, followed by a 45 to 75-minute boat transfer to Apulit Island. 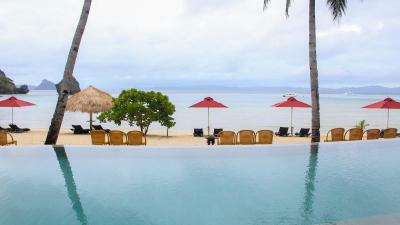 This property also has one of the top-rated locations in Apulit Island! Guests are happier about it compared to other properties in the area. This property is also rated for the best value in Apulit Island! Guests are getting more for their money when compared to other properties in this city. 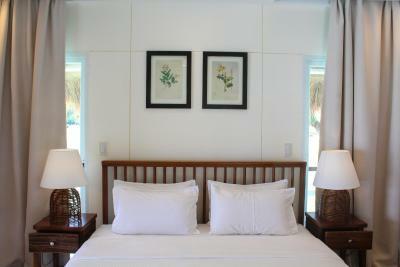 When would you like to stay at El Nido Resorts Apulit Island? Overlooking the sea via its own veranda, this air-conditioned cottage is built on stilts offering an private bathroom with shower and toilet. The room also includes a mini-bar. This two-story cottage features a private veranda with direct access to the water. 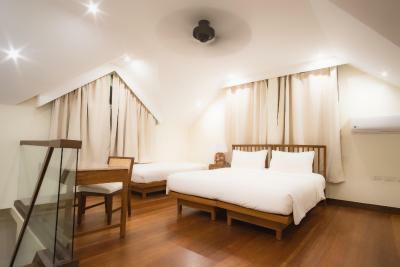 The room also comes with a seating area and a mini-bar while the private bathroom comes with a shower and free toiletries along with a hairdryer. El Nido Resorts’ Eco-Adventure island resort, Apulit, set in Taytay Bay in North-eastern Palawan, offers exciting and exhilarating activities for the thrill-seeker. 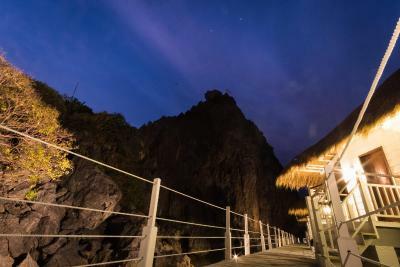 Guests may climb and rappel down the 60-meter limestone cliff, with birds’ eye-view of the whole island. Dive and discover sunken treasures just off the beach, with a Japanese ship wreck and a plethora of marine species to greet guests. Put on headlights and go spelunking in the different caves of Apulit, or hop on the banca and go island-hopping and snorkelling with the resort’s marine sports guides to identify the different species around the area. The resort’s guest activities coordinators will help plan your adventure-filled holiday at Apulit Island. Apulit Island has 50 water cottages that combine traditional Filipino architectural style with contemporary design. 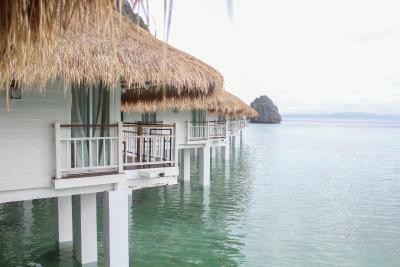 The cottages are all built on stilts, perched above the sea with an unobstructed view of Palawan’s azure Taytay Bay, surrounding islands, and dramatic limestone cliffs. There are 30 Water Cottages built around the main cove of the island. 20 Loft Water Cottages, each is a two-level cottage that has direct access to the sea from its private veranda. 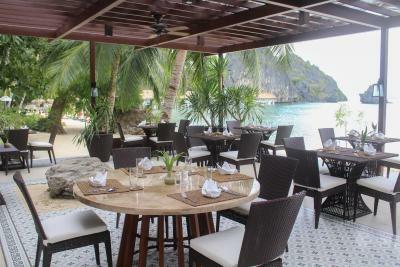 House Rules El Nido Resorts Apulit Island takes special requests – add in the next step! A PHP4000 damage deposit is required on arrival (around USD77.27). This deposit will be fully refunded 7 days after check-out, as long as there isn't any damage to the property. All children under 12 years are charged PHP 4800 per night for extra beds. Any additional older children or adults are charged PHP 8000 per night for extra beds. El Nido Resorts Apulit Island accepts these cards and reserves the right to temporarily hold an amount prior to arrival. Please note that room rates are inclusive of travel insurance for guests age 7 to 65 years old. Optional insurance is available for guests age 6 years and below. Guest's reservation is inclusive of non-motorized water sports equipment (subject to availability) and standard resort guided activities and tours. Kindly note that the property supports a strict boat schedule. Please contact the property directly first for the boat schedule prior booking a flight. A prepayment deposit is required to secure your reservation. The property will contact you after you book to provide any bank transfer and payment link instructions. A damage deposit of PHP 4000 is required on arrival. That's about 77.27USD. This will be collected by credit card. You should be reimbursed within 7 days of check-out. Your deposit will be refunded in full by credit card, subject to an inspection of the property. The colored plastic storage bins left along the walkway near the pump (?) station. They can be hidden away tucked behind perhaps some bamboo screens or storage structures can be built for these bins. Flies in some of the uncovered condiment containers in the buffet table. Great location with lots of outdoor activities for all ages. Our 2-story loft cottage on the far end was in a perfect setting. We watched the spectacular sunset every night from our deck and went snorkelling in the morning off our back stairs. Pristine clear water in several hues of teal/blue! We enjoyed various island excursions especially the lagoons-- so beautiful! There was a large corporate group that overlapped with our stay and they were very loud the last night they were there. Other than that, our trip was flawless! Given they are at the mercy of all the elements there was some wear and tear on some of the aspects of the room. We also found the water pressure in the shower wasn't strong, however, given it is an eco-friendly resort this does make sense. The first thing that hits you, and that never ceases to amaze was the amazingly clear waters and limestone rocks. The view from your room was one I couldn't get enough of. They provide snorkel activities to nearby beaches and reefs and diving for an extra cost. The food at the buffet was a great mix of traditional Filipino and Western and it was all delicious. The staff were also a standout. They went above and beyond and always made us feel extremely looked after. The rooms and facilities are old, it would need lots of renovations (e.g. Door not closing right, billiard table completely damaged, furniture looks used, etc. ); the activities and information booklet in the room is outdated and they don't offer half of the things anymore, also serving times e.g. are not right, so make sure to check with the staff first before "planning" anything, it doesn't take much to update that stuff so I think that's really unprofessional; the food is nothing special at all and was often cold (there is a lot better food in very cheap places in the Philippines); the prices for drinks are way too high for Philippino means (but I kinda expected that before); the staff is super friendly but when it comes to critic they don't know how to handle that, in fact it seems they have learned all their friendly sentences by heart -> I state this in terms of the value for money: for the high price you pay (especially for Philippine means) you must expect an excellent service and condition of this resort. Another very concerning point is: the resort chain claims that they are super protective with the environment and nature of the country. That is very honorable and also very important to set a good example for everyone. 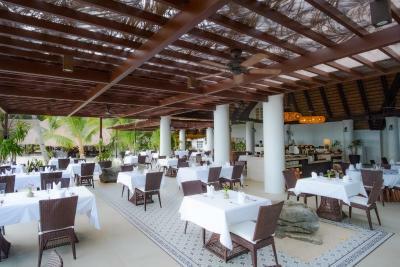 We were very impressed and they also really do keep the resort clean and use reusable materials. BUT: we walked a bit outside the resort area and saw terrible waste "behind the scenes". There is a construction site area which looks like it's abandoned with tons of broken things, plastic, waste, etc. In addition they do change towels etc. everyday even if it's not nescesarry (were not thrown on the floor), which means they practically don't follow all their rules. So a very nice approach but unfortunately not executed well/completely (though I imagine it being very hard in this country). beautiful place in a remote area, wifi connection is good. The staffs makes you feel secured and taken care of. All facilities are well maintained. The corals are great and you can snorkel just below your loft. For the price, I would have expected a better welcome and facilities. When we first landed, there was a staff of singers welcoming us with a leaf necklace. They could have a staff that at least wore different shirts than the servers and better welcome gift. We stayed at another resort half the price with a nice shell necklace. We were excited about all the activities that were included and saw them on the chalk board when we were given an orientation. It would have been nice to have something in writing with the schedule including meal times and a map of the facility. We were in a family loft that included an upstairs room with 2 beds. It was very spacious, but there were only 2 beds and a desk and a chair. The bathroom is downstairs, so at least a mirror and a dresser would have been good. We had to have all our clothes on the floor. In the bathroom downstairs, there were black ants everywhere! Communication with the reservations staff was lacking. I would understand, most of your guests are from a different time zone and would be hard to call. Email was my only way and when I had a question, it took 1-2 weeks before I would get an answer. Wonderful resort for relaxing, island feeling, nice beach and a lot of activities. Would come back for sure! Food was a little disappointing. It wasn't ever hot! had to request hot food. Not sure I liked the chef cooking all the food at once and leaving it on the side to cool. Think they need to keep the food warmer. Wasn't a huge issue but if there was a slight moan it would be this. Otherwise a perfect time here! loved it and would 100% come back.